The boy was seriously injured when Luis De Jesus hit him in a West Hempstead parking lot in October, Nassau District Attorney Madeline Singas said. De Jesus could be sentenced to 15 years in prison on Oct. 22. 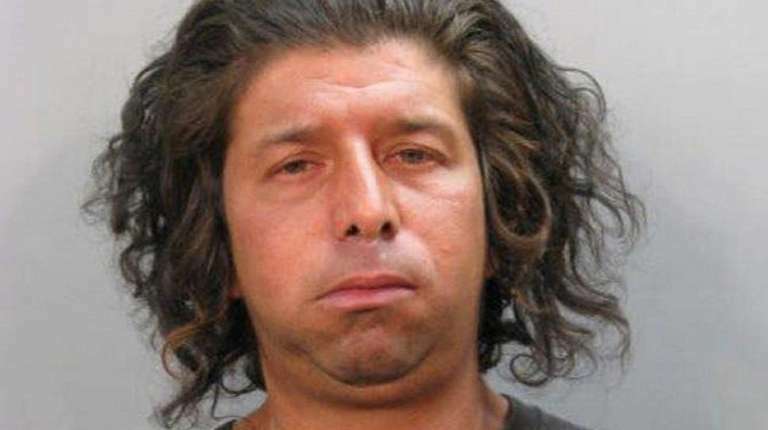 A homeless man pleaded guilty Friday to running over and seriously injuring a teenage skateboarder with his minivan in October, the Nassau County district attorney's office said. Luis De Jesus, 43, could get 15 years in prison after being convicted of first-degree assault, a felony, and misdemeanor aggravated driving while intoxicated, Nassau District Attorney Madeline Singas said. He will be sentenced Oct. 22. "Because of the callous and thoughtless actions of a drunk driver, a 15-year-old boy continues to suffer life-threatening injuries nearly a year after being run over and dragged by a minivan," Singas said in a statement Friday. "A vehicle can be a dangerous weapon when driven in such an irresponsible and reckless manner. Public safety demands that drivers who engage in this kind of behavior are held responsible." The teenager was taken to Winthrop Hospital and underwent surgery for internal bleeding after being hit by De Jesus' minivan on Oct. 27. He was hospitalized for five weeks, Singas said. The teenage boy now undergoes physical therapy three times a week, the district attorney said. He still has a brain bleed, permanent vision damage to his left eye, and has a large pulmonary embolism. De Jesus drove his Dodge Caravan directly toward seven teenage boys, who had been skateboarding at a shopping center parking lot at Cherry Valley Avenue in West Hempstead, around 5:45 p.m. that Friday, Singas said. Most of the boys dodged the minivan, but one was struck and dragged under the vehicle, the district attorney said. A group of Good Samaritans detained De Jesus until police arrived. Police investigated and determined that De Jesus was driving drunk. His blood-alcohol level — tested about 21⁄2 hours after the collision — was 0.20 percent, more than twice the legal limit, according to court papers.